This classic undated personalized Masters Golf Tournament is available in Green, Stone, and White. 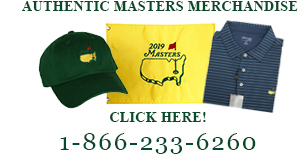 The slouch style has a soft front with the Masters logo prominently displayed over the brim. Personalize your hat with stitching on the back of the hat.